maybe you’re itching to burst out of the ex-pat bubble to experience a whole new dimension in your foreign travels or residence abroad or to enjoy a new culture among migrants communities in your own country or over the internet or in books. maybe you want to get closer to special people in your life: whether a group of friends or even a partner….span linguistic gulfs in your family by speak to a parent, grandparent or grandchild in their own language….or reclaim your lost linguistic heritage. maybe you want to enhance your career prospects, mindful of the growing demand for foreign language skills in all manner of jobs. You probably have a mix of these motivations….. and more. Done right, learning itself should be a thrill. The research shows it’s good for the mind and it’s great for the spirit. But you may doubt that you can do it. Perhaps – like me – you failed to get fluent as a school kid and don’t feel you have a “gift” for languages. You could well be flat out in full time employment and feel that you “don’t have time”. You could be retired, in search of a new project and new achievement but fear you are “too old for languages”. This site will help you overcome your doubts and show how – whatever your circumstance – you can learn a foreign language. If you’re already be brimming with enthusiastic confidence. That’s GREAT but…..steady on, tiger! You’re really going to need to pace yourself. If you go about it in the right way, you can get encouraging results fast. These early wins are an all-important boost because, truth is, the road to fluency is not short and not always easy. Many people start learning, many – maybe most – give up. You can sign up for the Howtogetfluent Email Club and to get my free “Discover how to get fluent” one week video course in the sign-up box! Let’s get off to a flying start together! A great start to make sure that you’re one of the fluent winners is to get clear on your all-important personal why. This site will help you with that and help to maintain your motivation as you progress in your journey. Community and connection and sharing stories will all be part of the motivational picture. But motivation ebbs and flows. We’ll look at how to establish effective study habits, building success step by step, however you happen to feel from day to day. I’d go so far as to say that consistency in learning is more important than the methods and materials but that doesn’t mean some methods and materials aren’t better than others! The site will explore which methods work to help avoid wasting time and effort on ineffective working. The site will review language learning resources to help avoid spending time…and money on the wrong things. As a decisive first step on your road to success, sign up in the box. 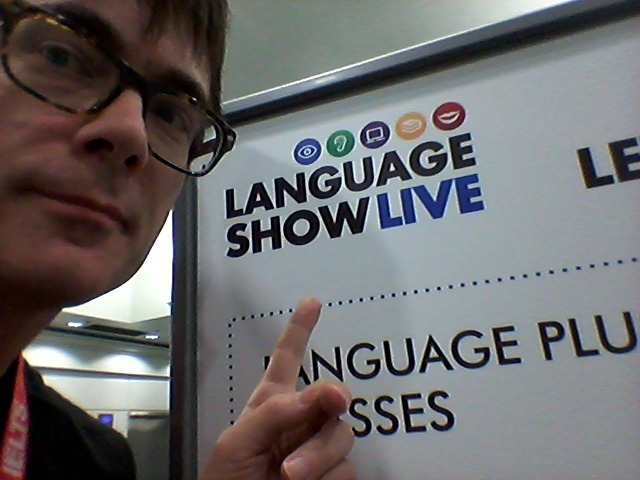 I’ll let you know as I add helpful new material to the site for you without flooding your in-box (you can unsubscribe when you want) and you’ll get my free “Discover how to get fluent” one-week email video course to get you off to a flying start with your language learning. I’m Dr Gareth Popkins. I’m no wonder polyglot. I’m far from having that gift for languages but I now speak four foreign languages well: French, German, Russian and Welsh. I can converse in five more: Hungarian, Finnish, Italian, Portuguese and Basque (only at a basic level…. I’m working on it!). Learning these languages has been hugely rewarding for me personally and I want you to have the same….but without some of the wrong turns! I’ve built up a vast experience as a language learner over many years. I’ve also taught English and Welsh to adults and passed the University of Cambridge CELTA English teaching certificate (Grade A). I’ve been a wordsmith in other aspects of my professional life too, first as a historian and now as a lawyer. I’ve got fluent because I really wanted to and I kept going, despite myself. It’s sometimes said that an expert is someone who’s made all the mistakes in the book. If so, I’m that expert. I’m still experimenting. I’m still learning…. and still making those mistakes, of course. Don’t hold back in sharing your thoughts in the comments sections of individual posts and, if you like the site, do join the community by signing up in the box to share my experience and news about my latest projects and help yourself get fluent as rapidly, efficiently and with as much fun as possible. I love to hear from visitors to the site and you can contact me by email at gareth [at] howtogetfluent [dot] com. Sign up in the box to join the Howtogetfluent Email Club (for updates and offers) and to get my free one-week 2019 video course “Discover how to get fluent”. Let’s connect and learn languages together!